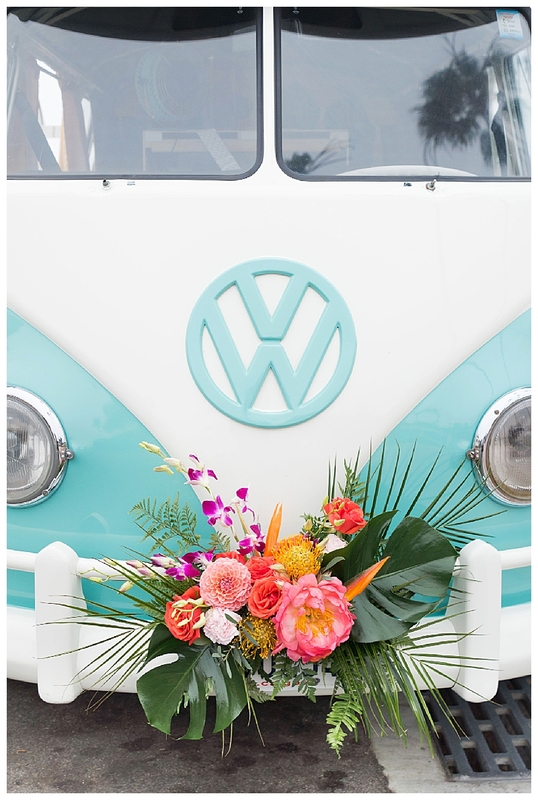 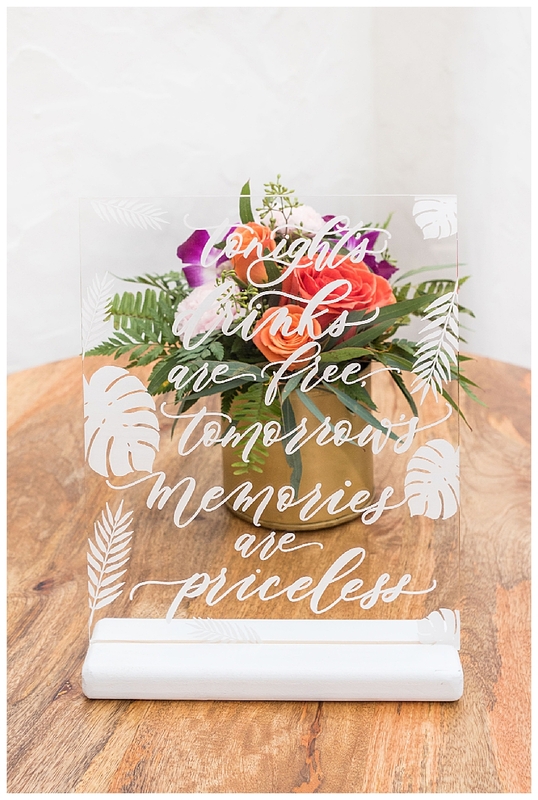 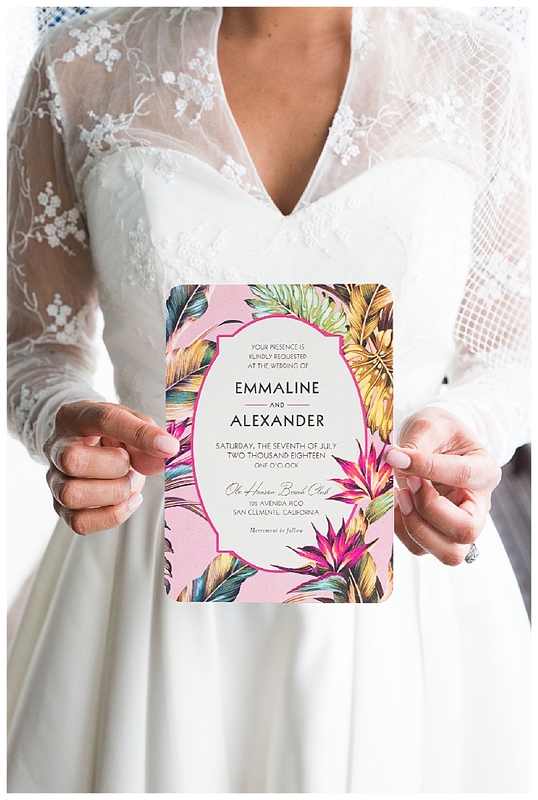 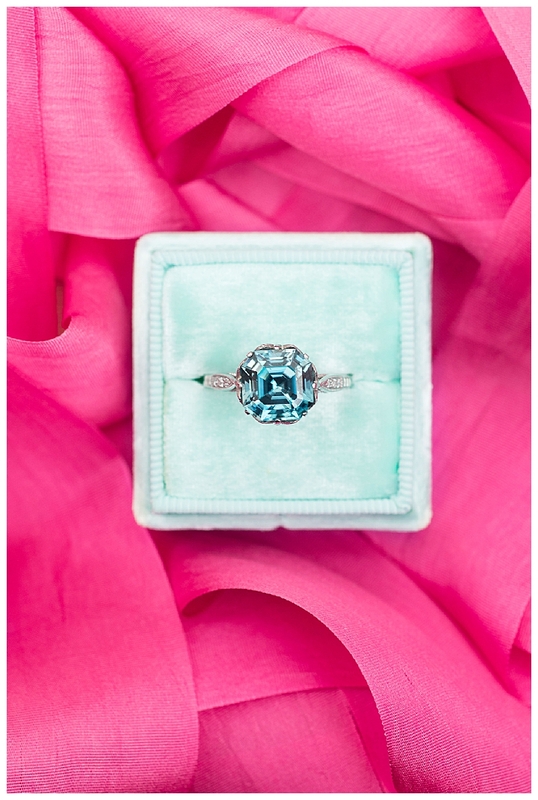 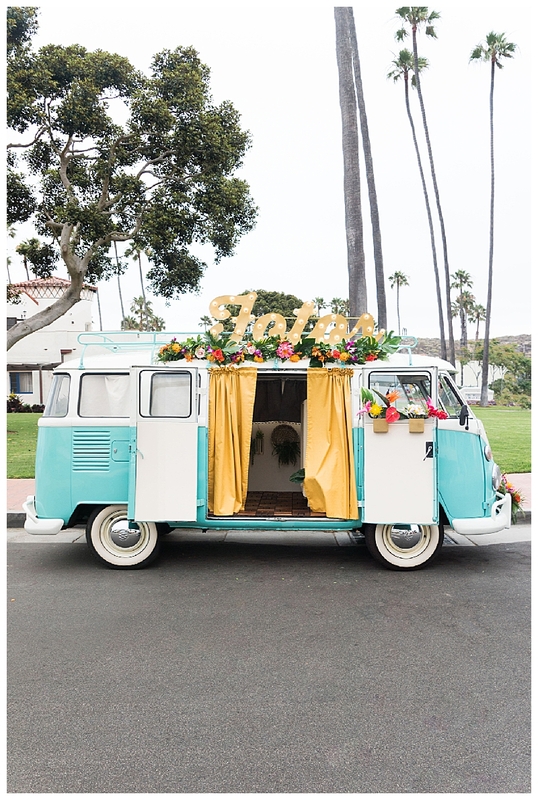 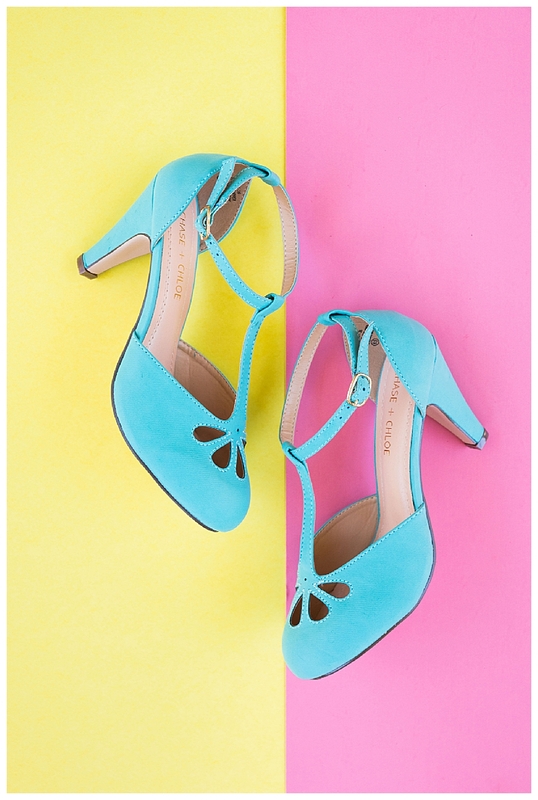 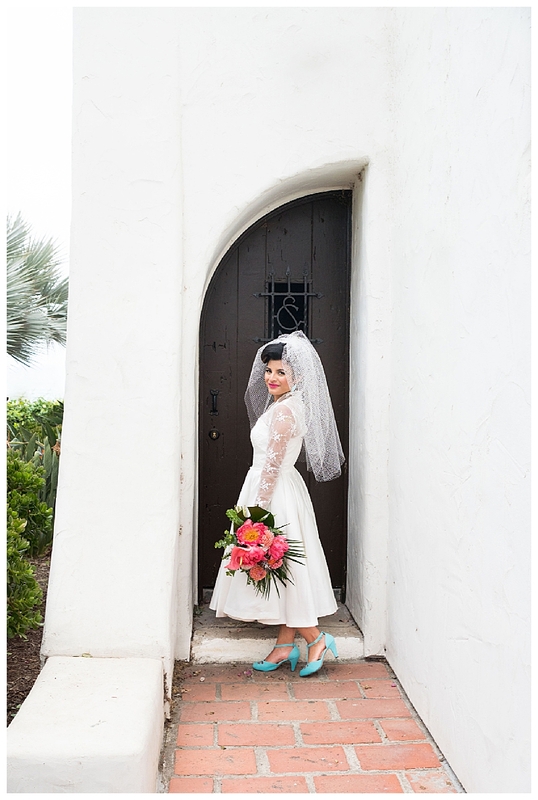 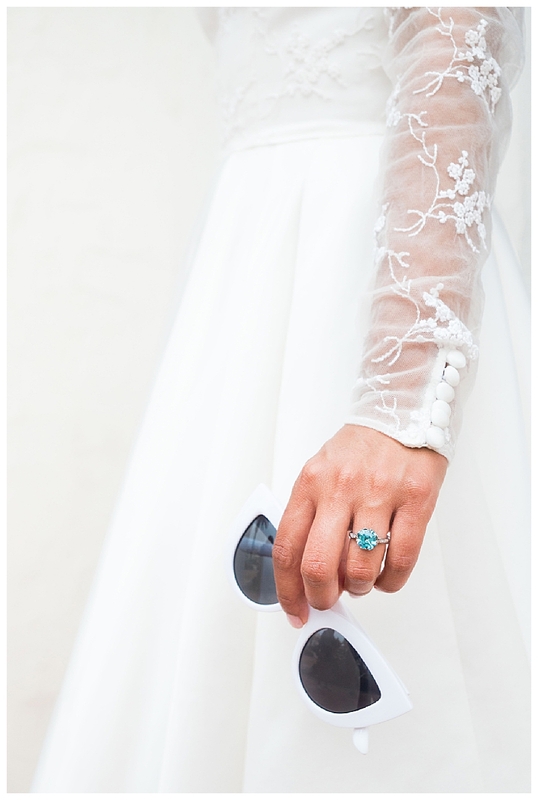 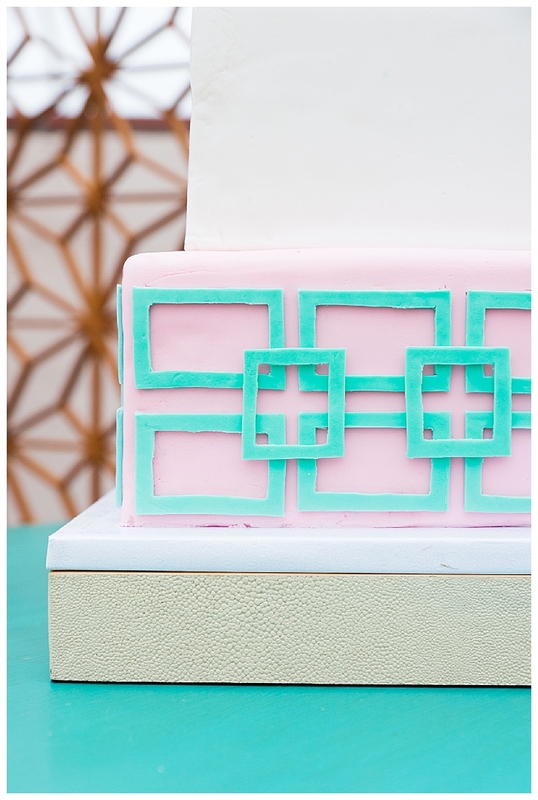 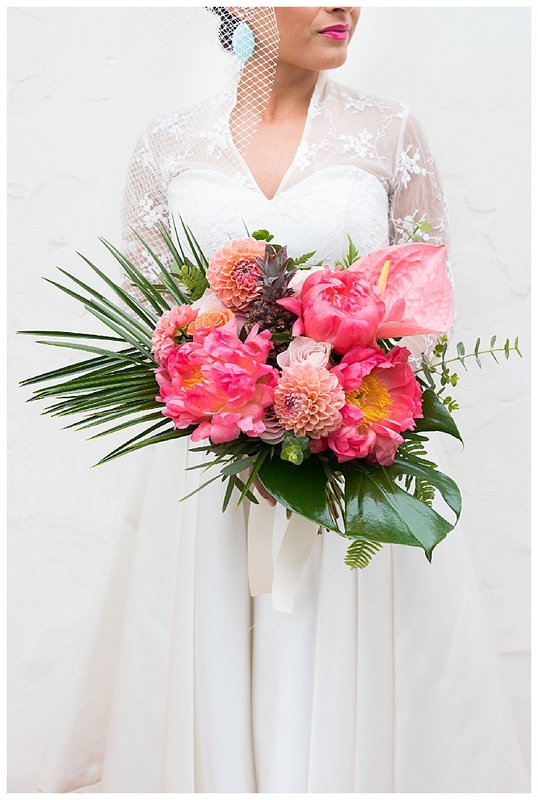 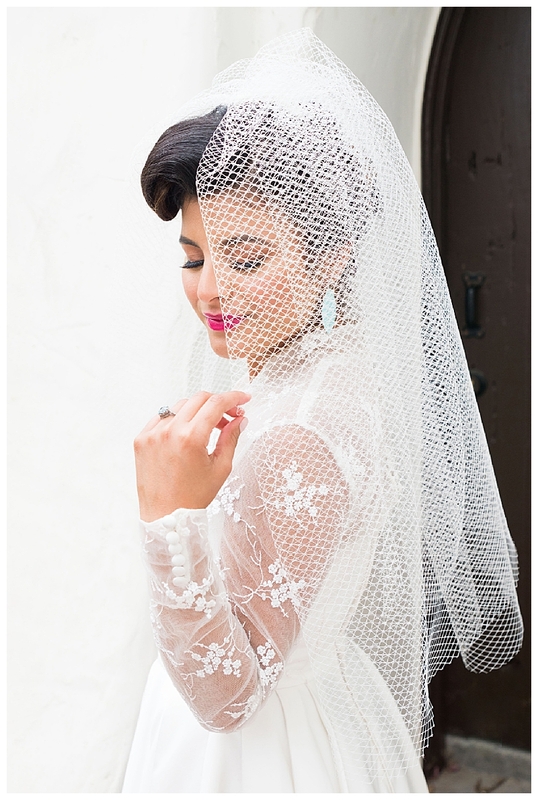 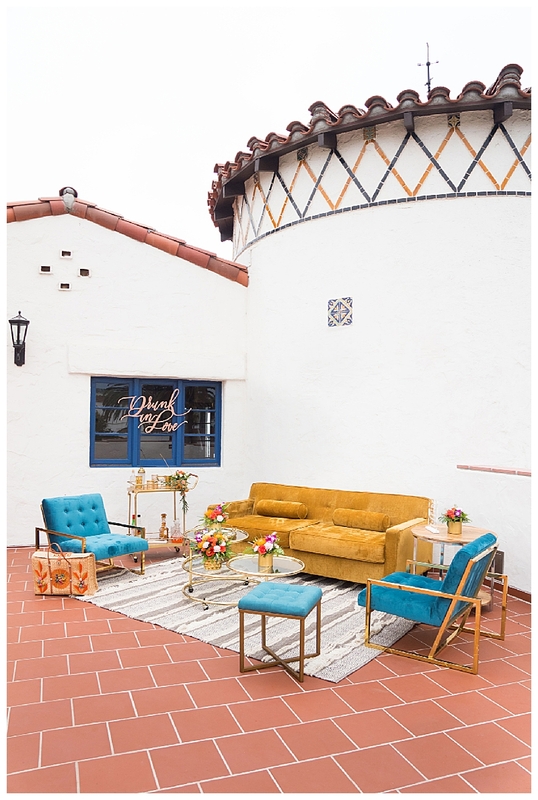 I’m in Palm Springs right now for a wedding, so it seemed only fitting to share this incredible inspo with you today. 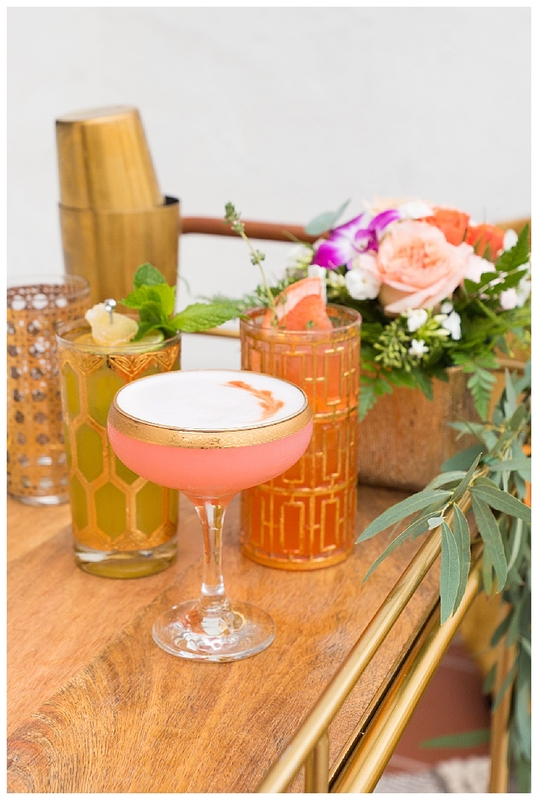 This is my first visit to Palm Springs, and, let me tell you, this destination has a style that is unlike any other. 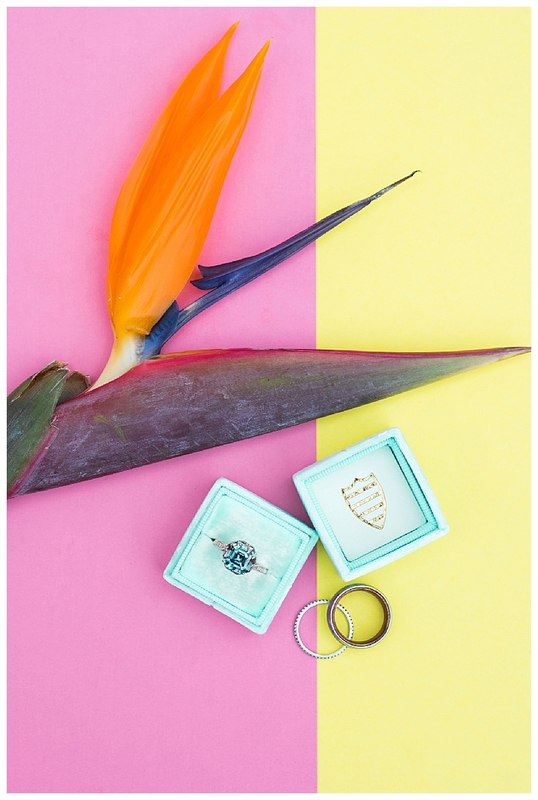 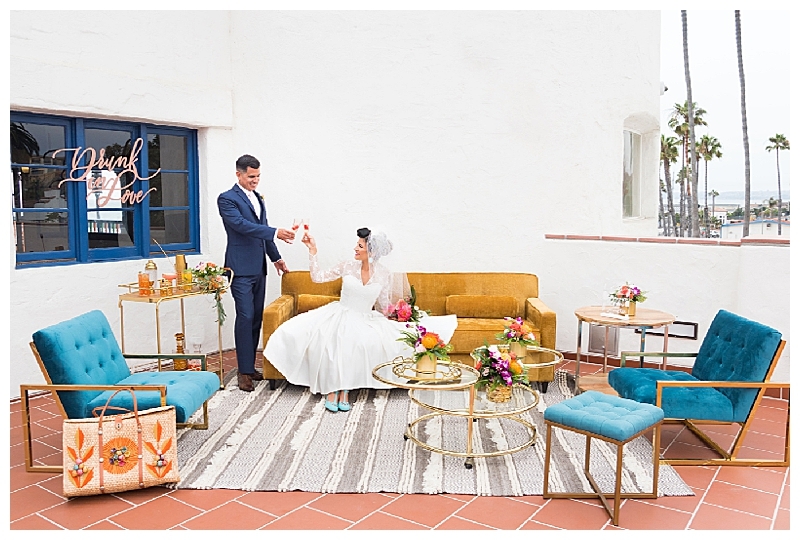 The mid-century modern architecture and design mixed with tropical vibes is just so fun (and Instagrammable! 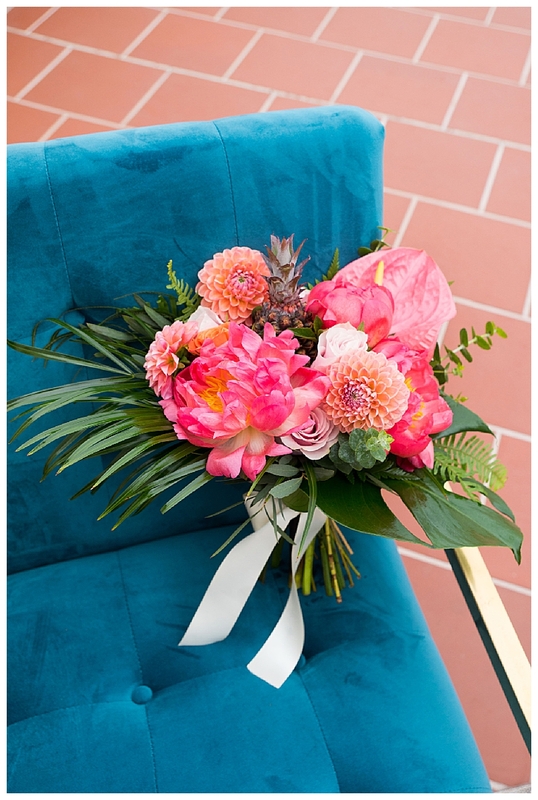 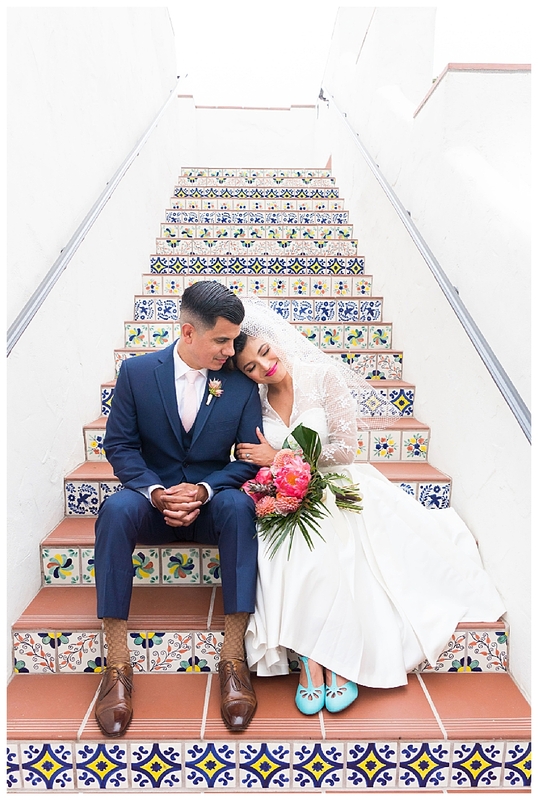 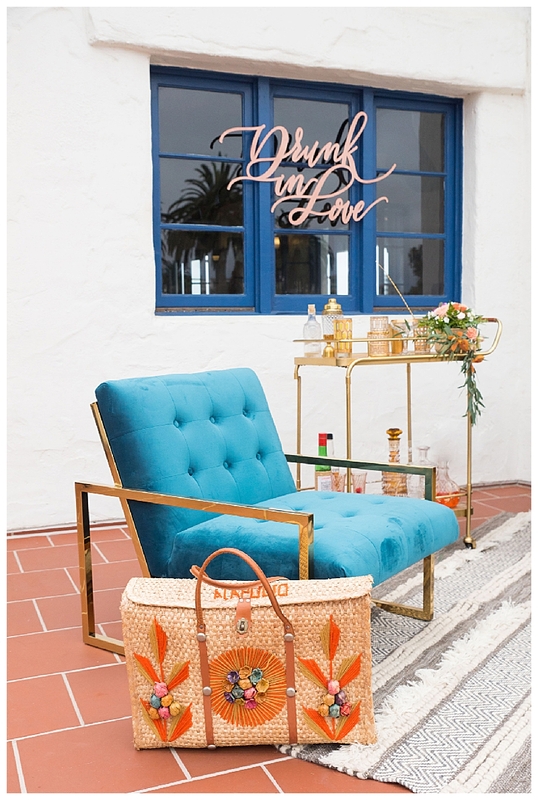 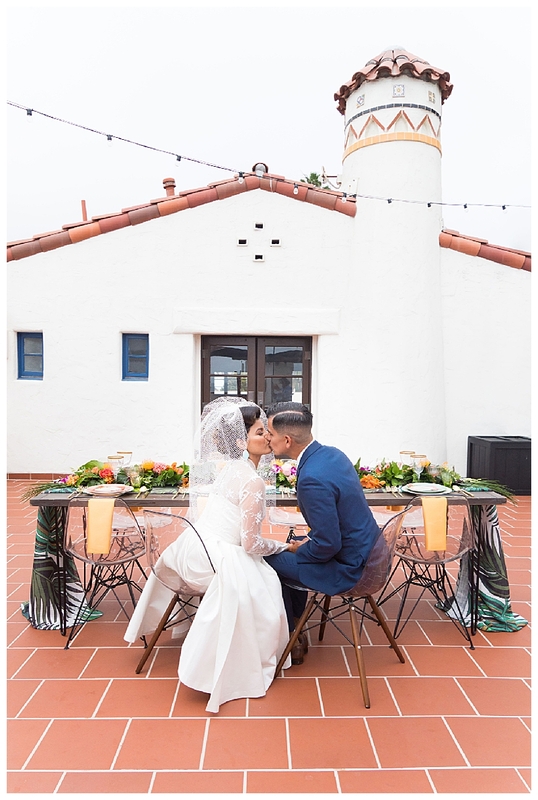 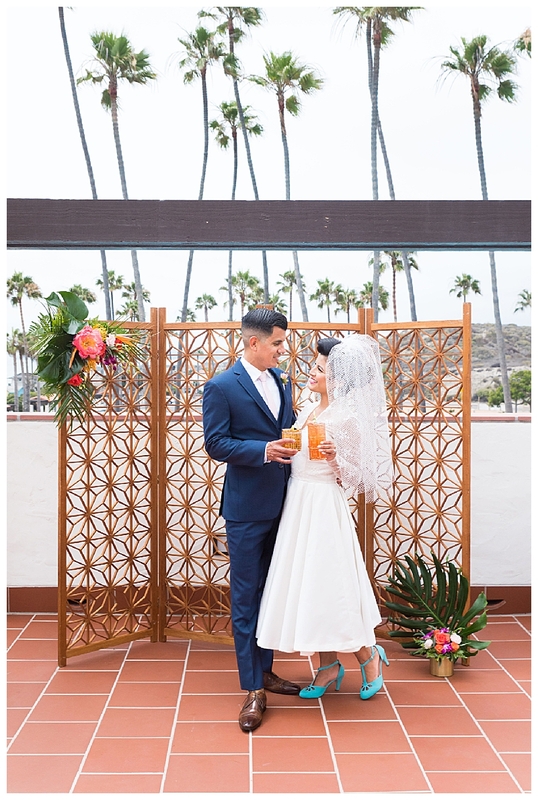 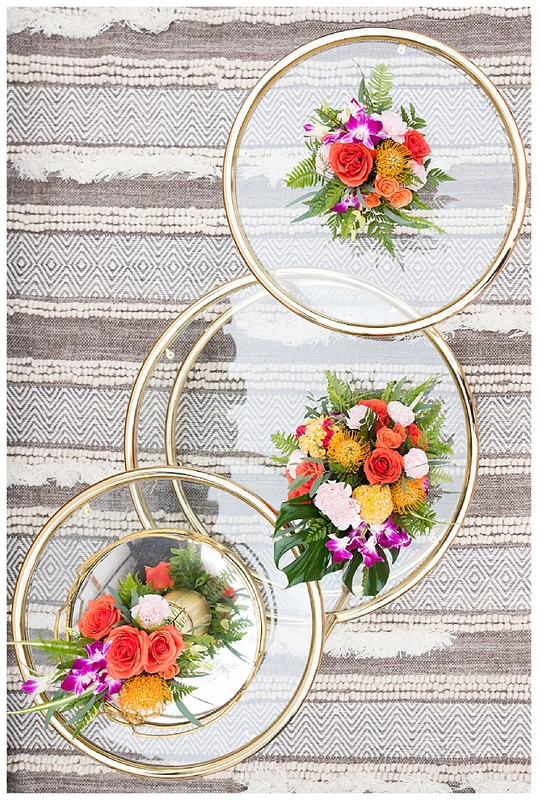 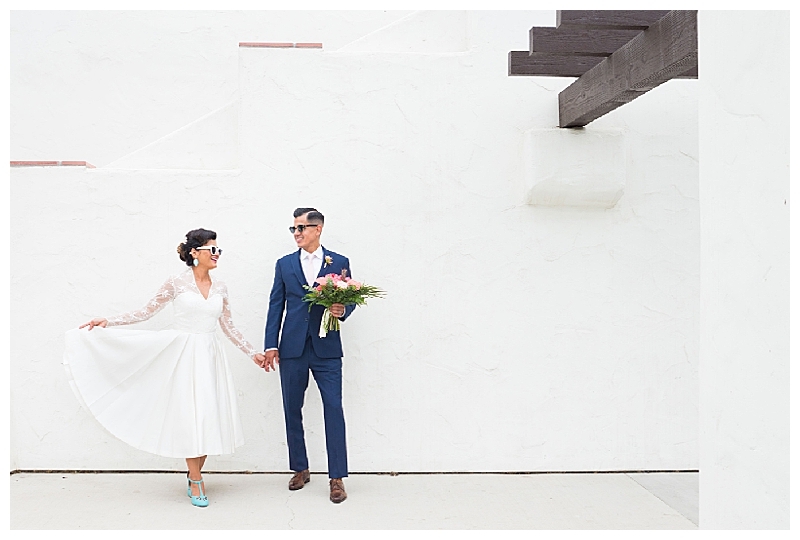 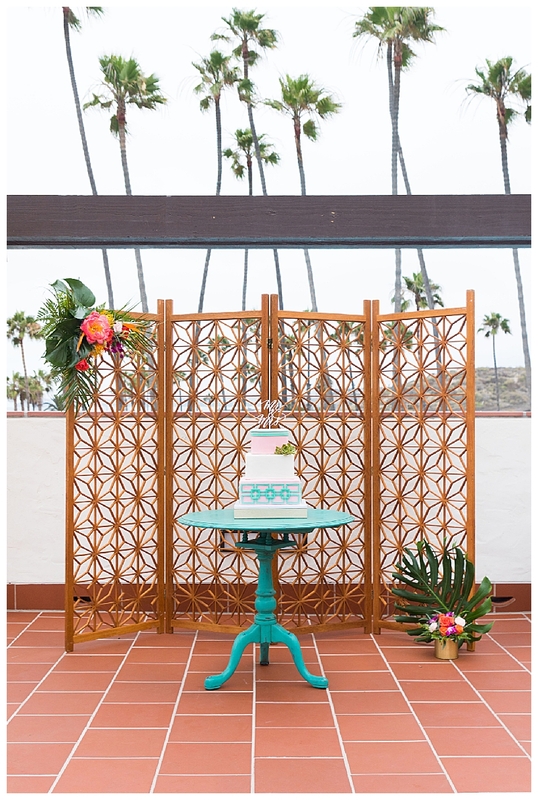 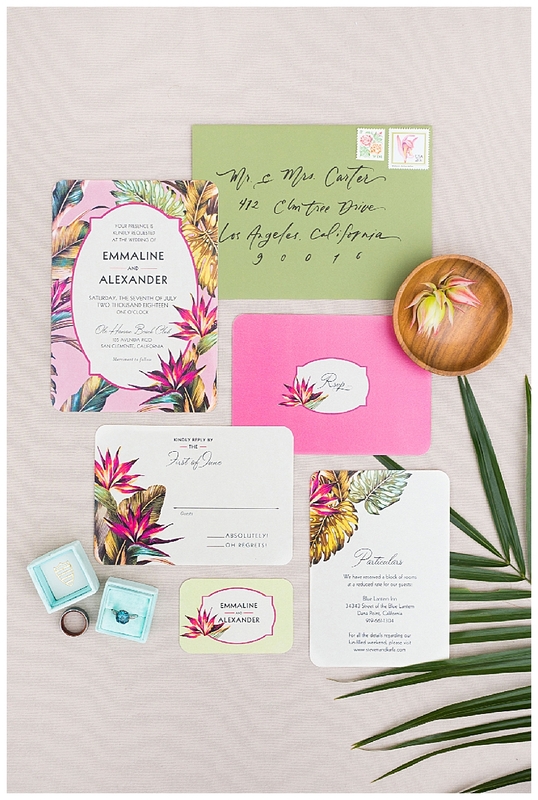 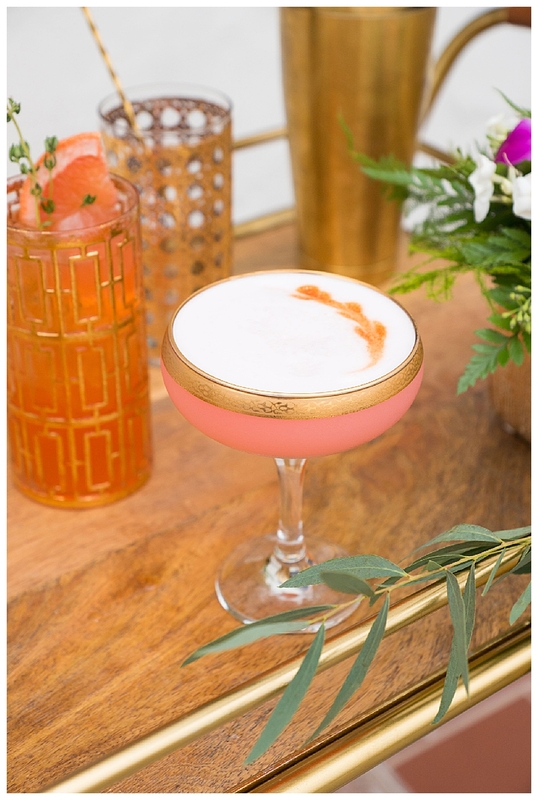 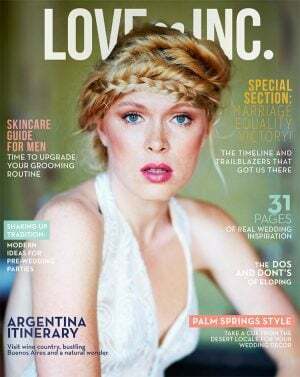 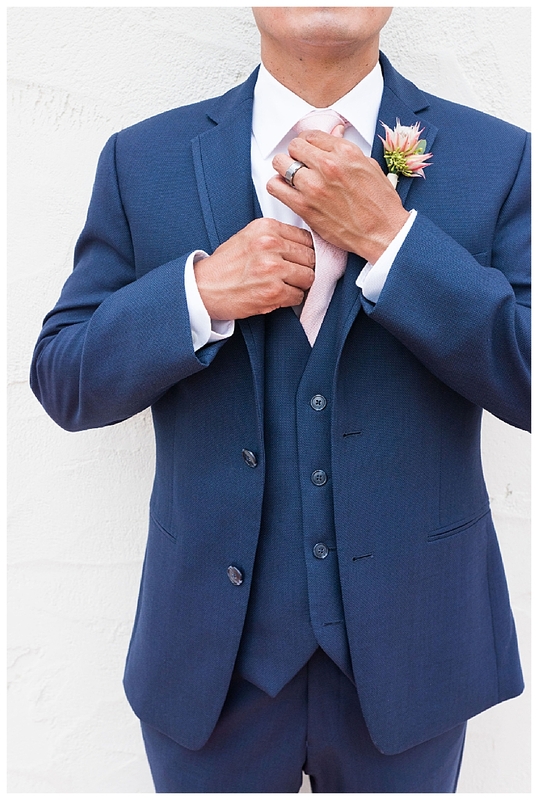 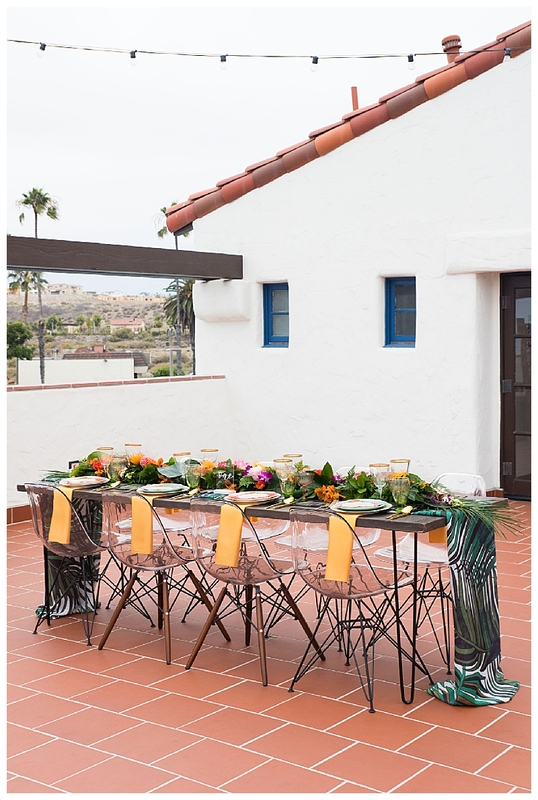 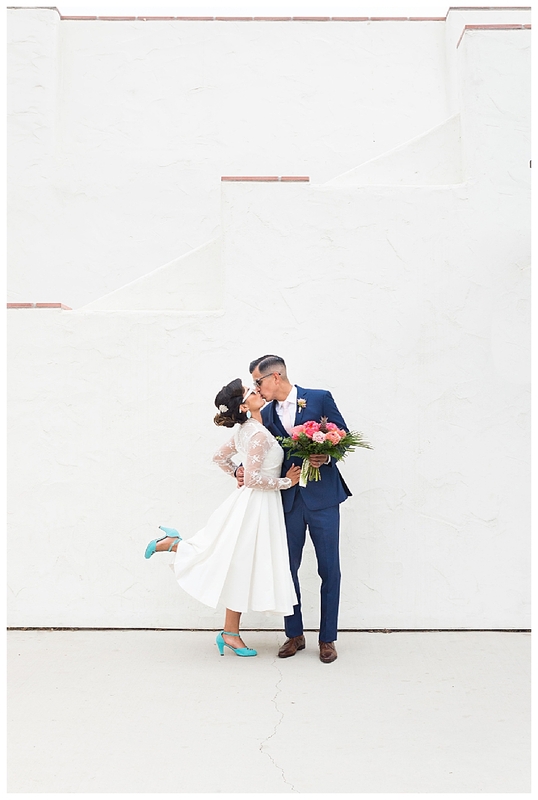 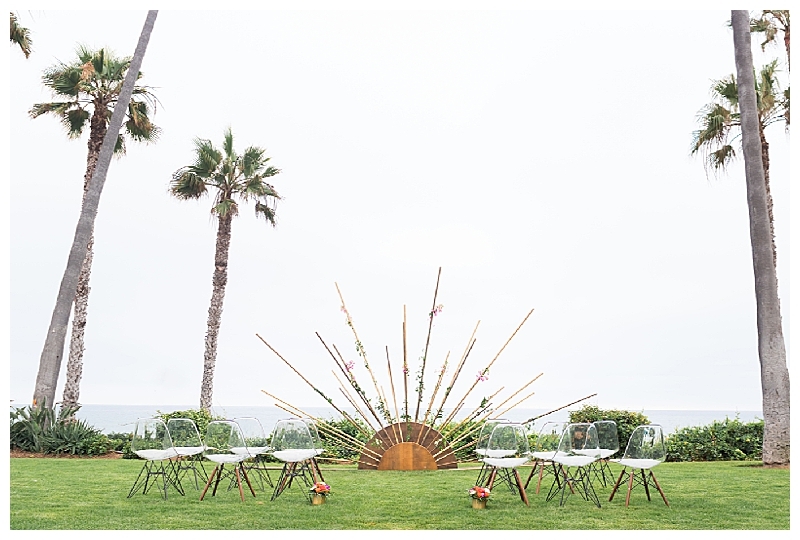 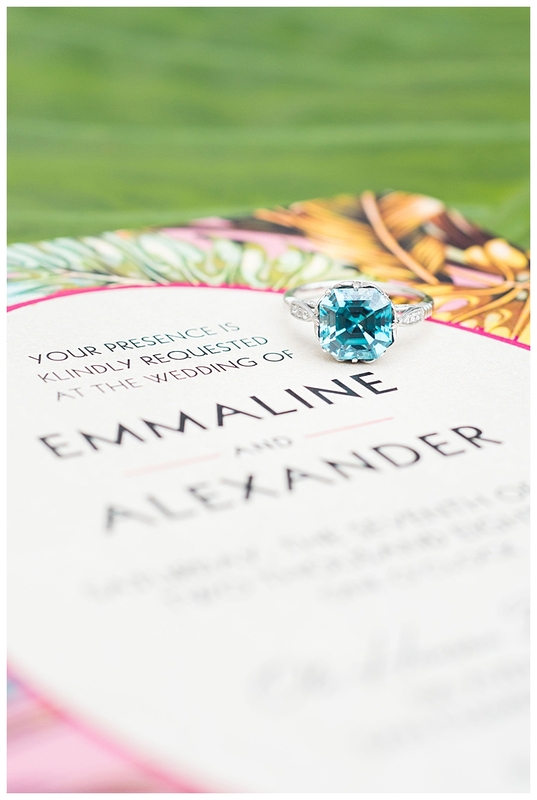 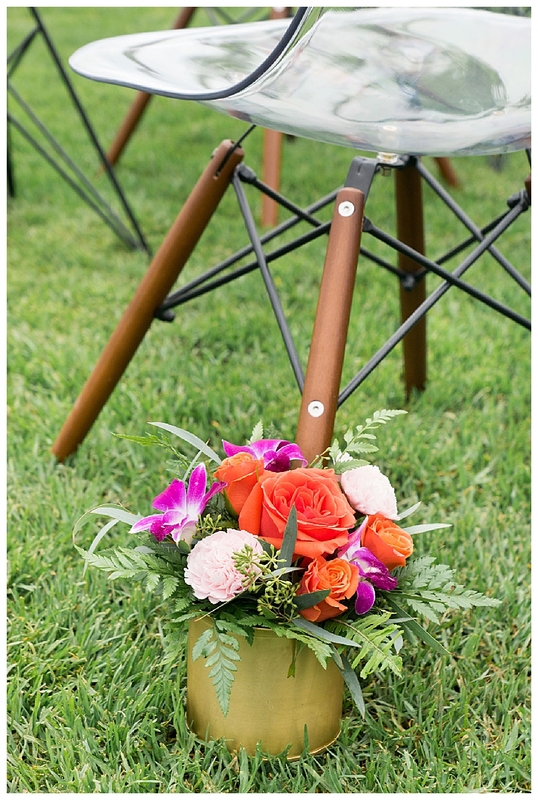 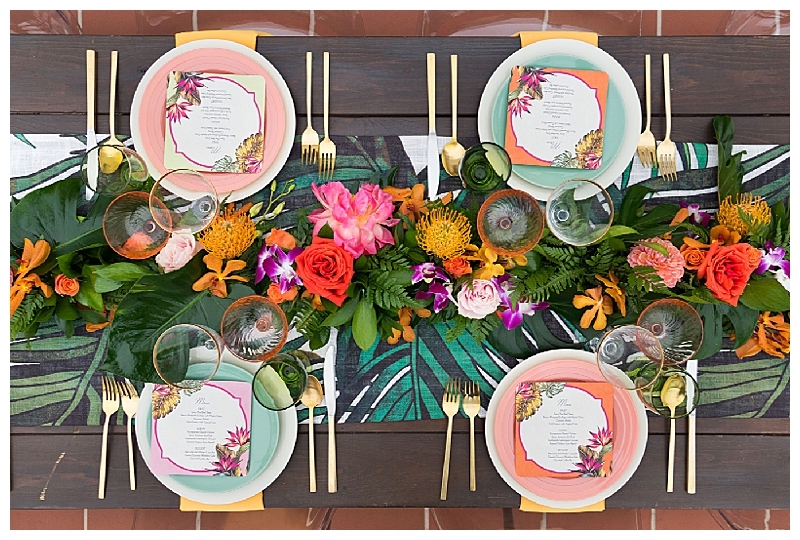 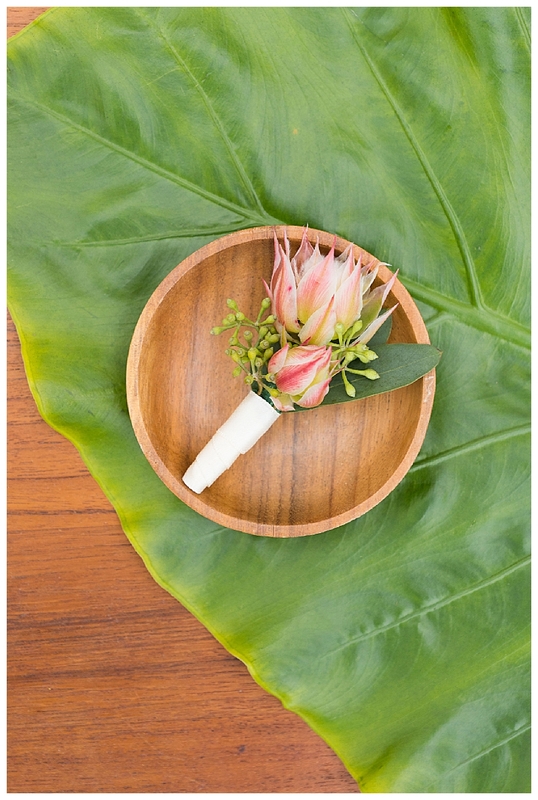 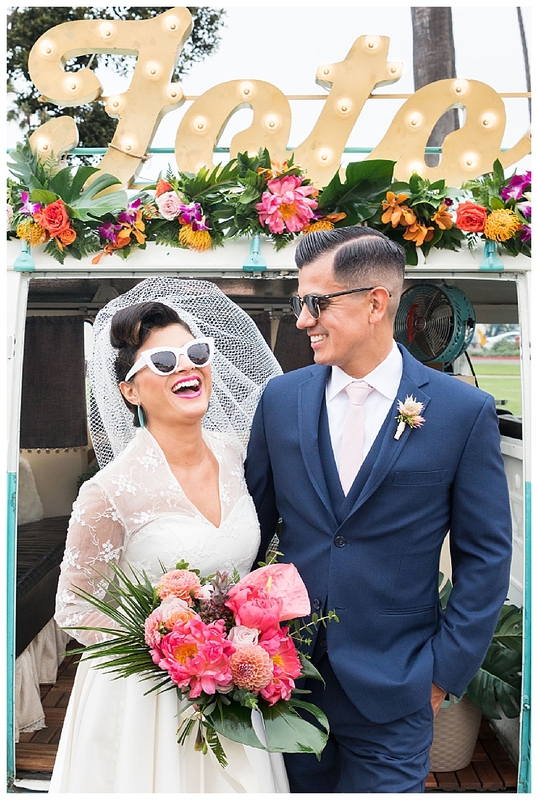 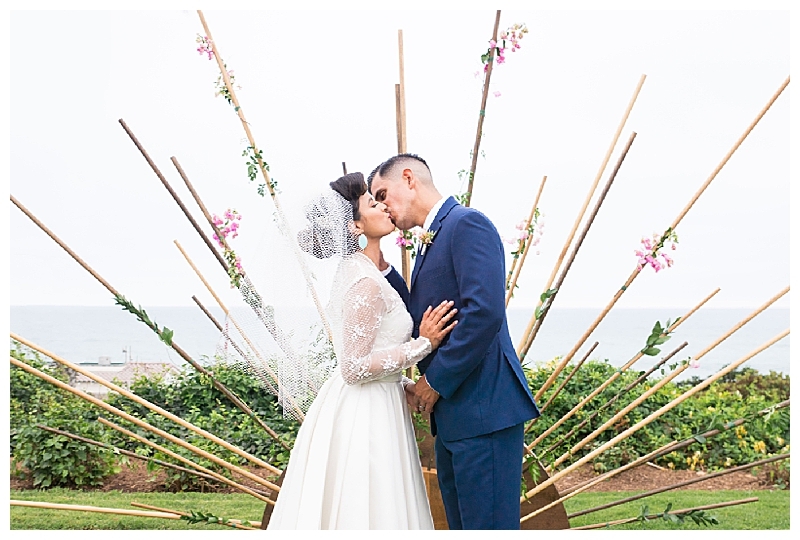 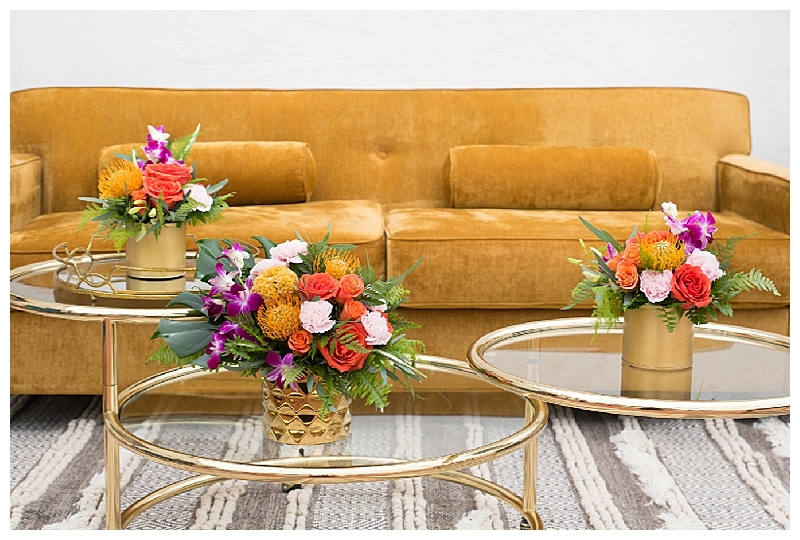 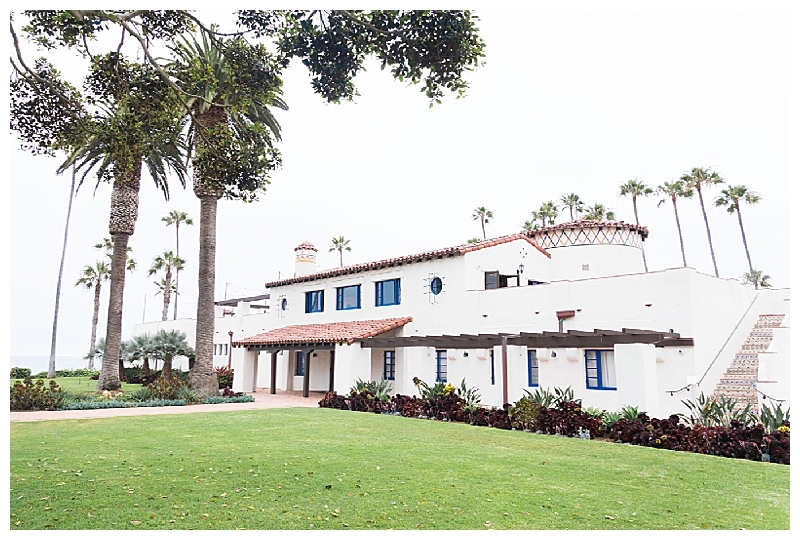 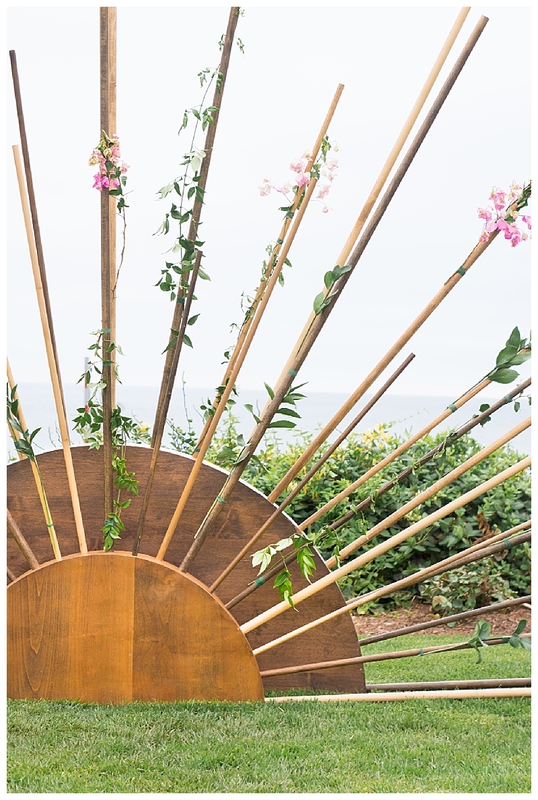 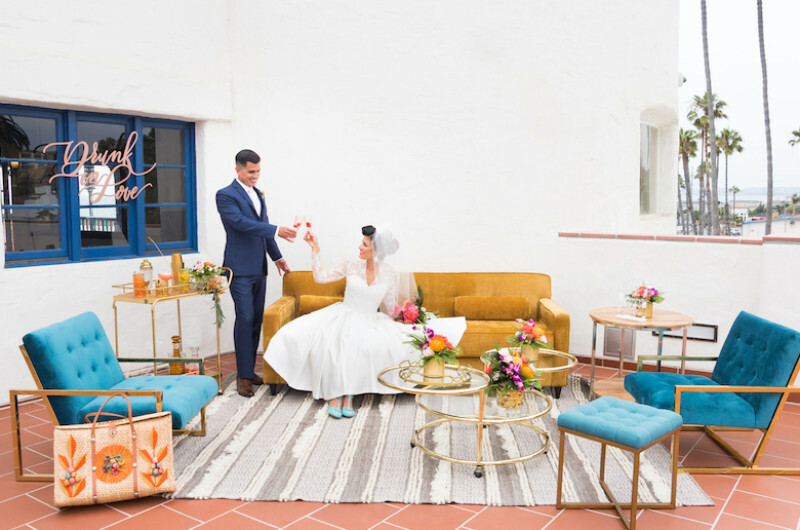 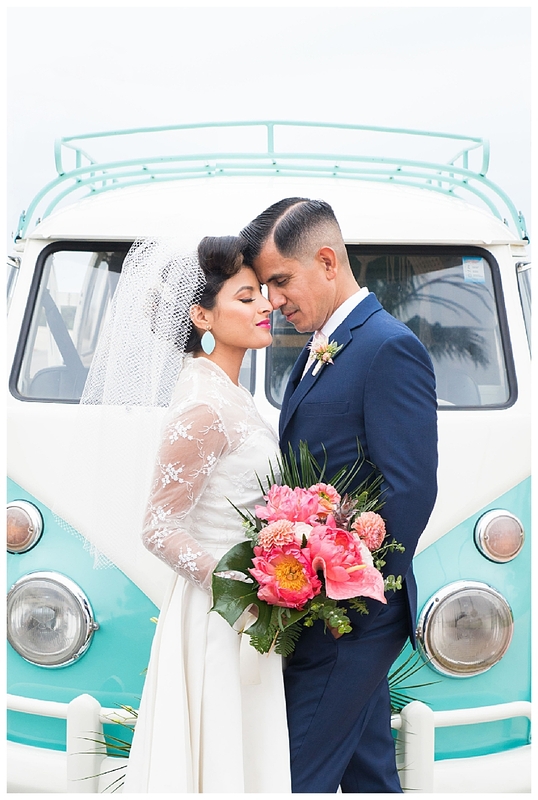 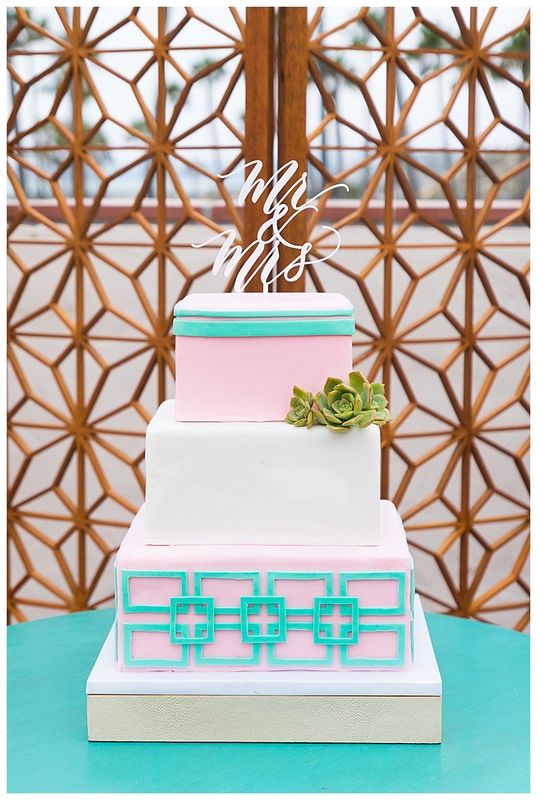 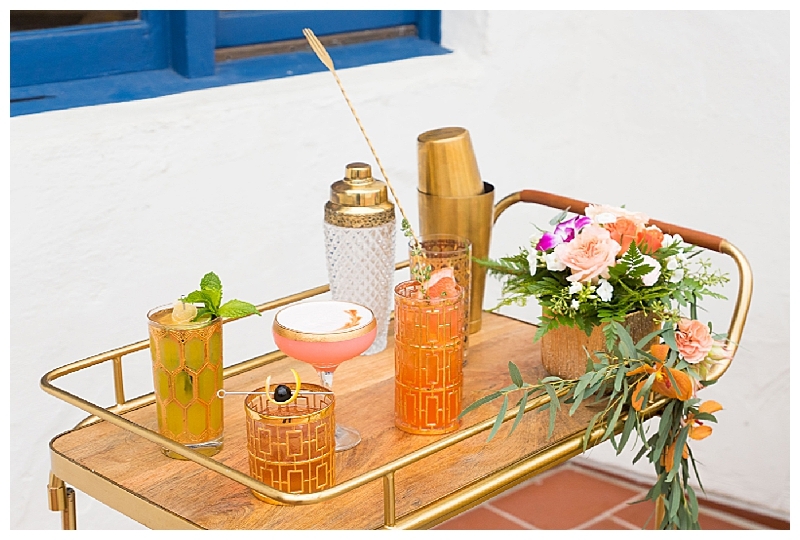 ), and this Cali creative team perfectly captured it and brought it to an entire new level with fresh wedding ideas, like an epic bamboo sunburst ceremony backdrop, rich-colored lounge furniture, palm-tree linen table runner and retro fashion styles (could that tea length dress and shades be any cuter?!). 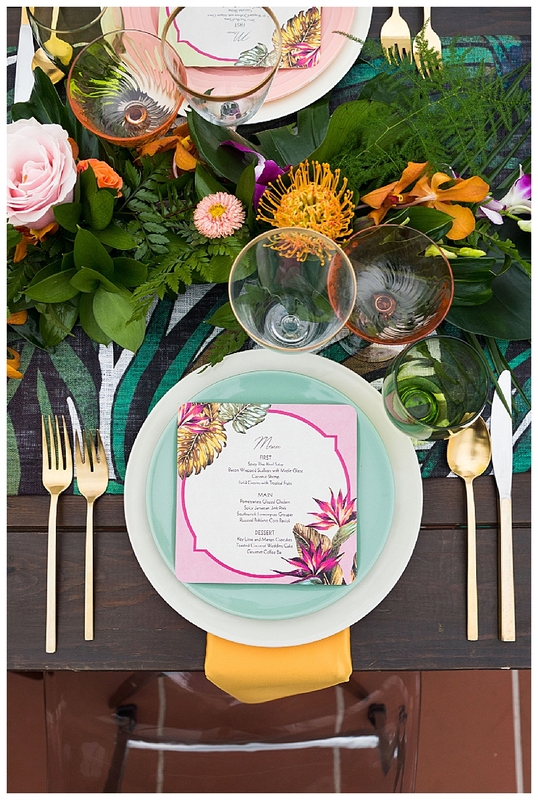 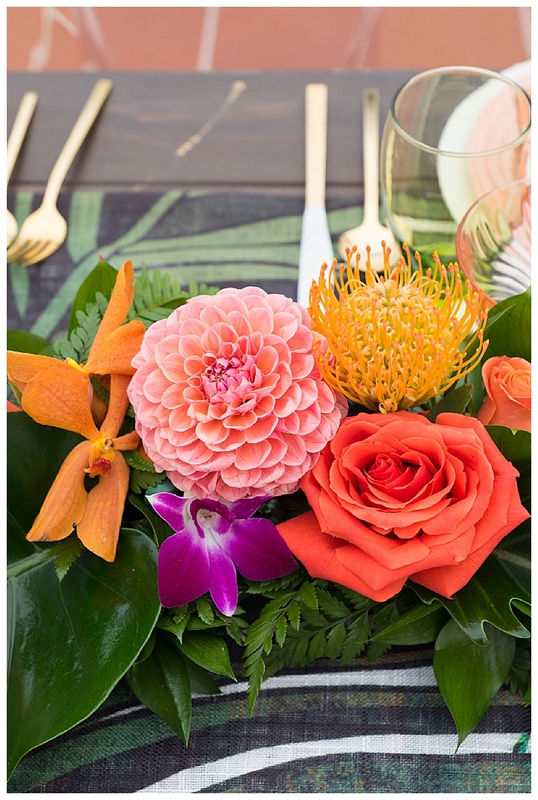 Gold flatware and gold-rimmed glassware paired perfectly with the orchids, pincushion protea, celosia and roses that decked the table, creating a gorgeous balance of tropical and sophisticated.